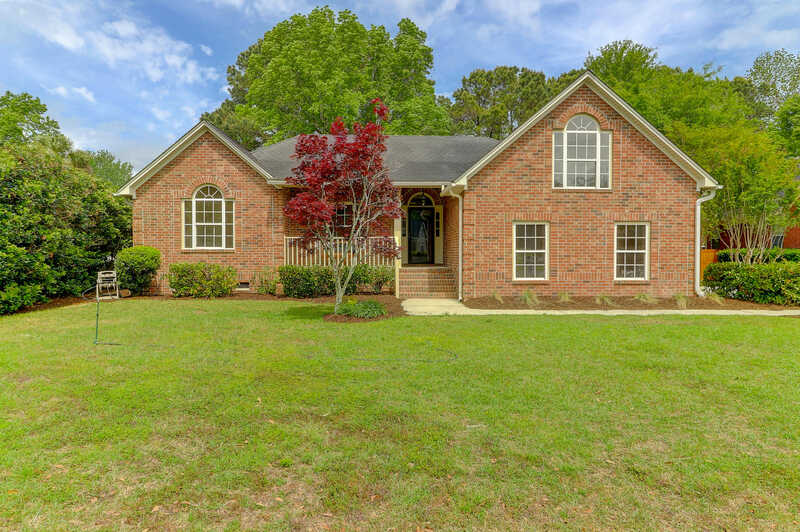 Beautiful traditional brick home in Hidden Cove has been updated to include interior fresh paint; SS appliances; Quartz countertops. The professional landscaping surrounding this property and the mature trees and private fenced backyard set the stage for this lovely home. You will be surprised that it comes with the best private community deepwater boat ramp in Mount Pleasant! With detailed crown moldings and trim, the home boasts wood floors with ceramic tile in bathrooms and kitchen. Upon entering the foyer, a large family room with tray ceiling welcomes you! The see-through fireplace (gas logs)services the family room and sunroom, which is brightly lit with tons of windows overlooking the outdoor deck and patio. Perfect for entertaining, a beautiful dining room is to the right. I would like to schedule a private showing for this property: MLS# 19010856 – $485,000 – 564 Fishermans Bend, Mount Pleasant, SC 29464.